Kari Herbert was less than a year old when her polar explorer father and her mother took her to live in the icy wastes of the High Arctic. Her first friends were the children of Inuit hunters, her first words were Inuktun, and before she was taken back to live in Britain she'd fallen in love with Greenland and its people. In 2002 and 2003 Kari Herbert returned to Greenland to rediscover her childhood friends and to record their declining way of life. 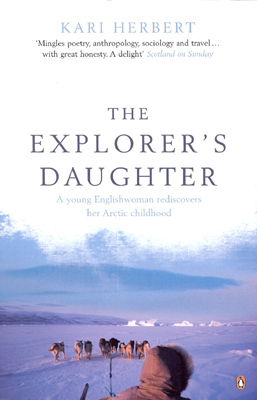 The Explorer's Daughter is a unique story of an extraordinary place and its people, whose lives balance precariously between an ancient past and the seductions of the modern world.